A cute mini pillow for a happy, modern nursery room decor. 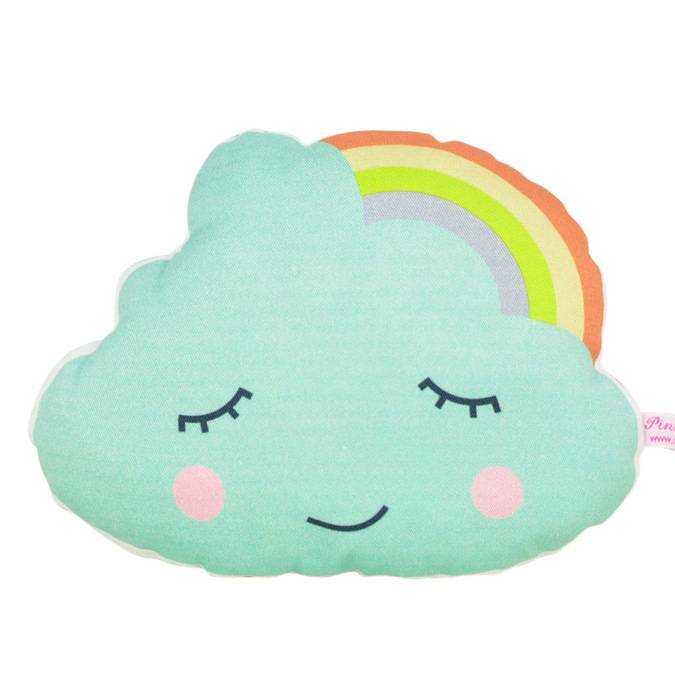 The cloud and rainbow illustration is printed with water based inks onto a soft cotton fabric and the back is made with a plain or dotted fabric. Filled with polyfill stuffing. Individually cut and sew with care this mini cushion measures 8,6x6,3 in.